My Tampa Bay Mommy : FREE Family Fun Magazine Subscription - Limited Time Available!!! 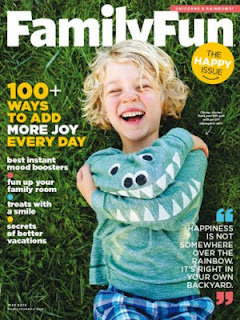 FREE Family Fun Magazine Subscription - Limited Time Available!!! Family Fun Magazine is one of my favorites and for a limited time you can get it for FREE! Simply submit your mailing info and you will be presented with any special offers - just decline any you are not interested in. No purchase is necessary and no credit card is required or strings are attached. Family Fun Magazine comes out 10 months out of the year.